Come prepared to design and build your own racing sculpture in this four hour, fun-filled engineering and art workshop! 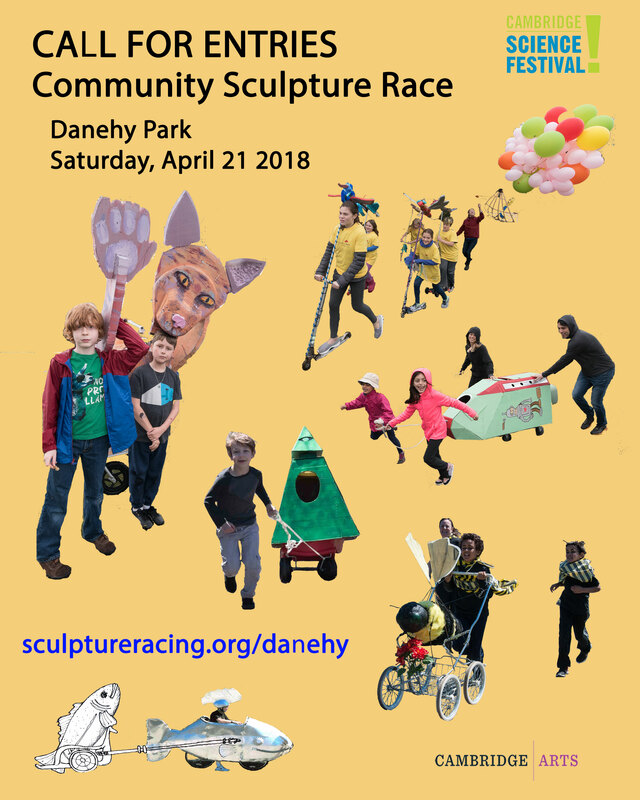 Sculpture Racing is a climactic intersection of art and engineering, in which racers push, pull, or pedal wheeled artworks wildly through the streets. The workshop is open to students age 12 and up. Middle School teens should be accompanied by an adult to help guide the use of tools and materials (one adult per three Middle School teens is fine). Learn sculpture racing history, artistic brainstorming, design basics, and about the particular challenges of making wheeled vehicles. All work will take place within collaborating teams. Return to the MIT Museum on April 26, to exhibit your designs and handiwork and to learn about the history of sculpture racing in Cambridge.